I had a great piece of luck earlier this week at the Caledonian Brewery in Edinburgh. I stumbled on a brewing book. I wasn’t going to pass up a chance like that and quickly snapped some snaps. This is a recipe from the very first photograph. 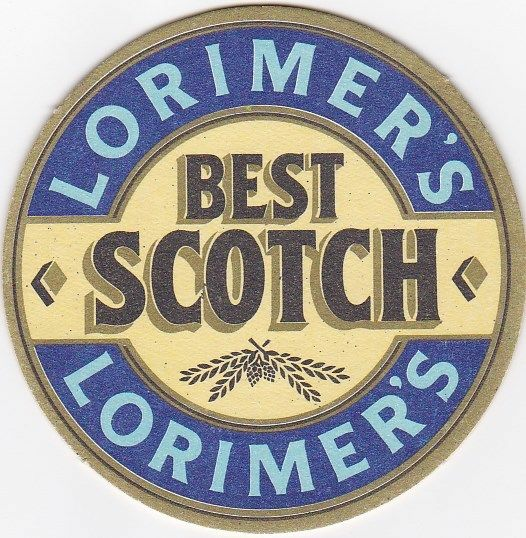 It’s an interwar Lorimer & Clark Pale Ale, with the snappy name of XXP 7. I think I understand that. XXP means Pale Ale – William Younger used the name, too – and 7 is just the price, 7d per pint. They loved naming beers after their price, the Scots. It’s another very straightforward beer: pale malt, invert sugar, flaked maize and malt extract. The type of draught Bitter that was brewed both sides of the border. An English beer would probably have had more sugar instead of the malt extract, but otherwise be very similar. At least in terms of grist. The hopping rate is lower than in England. Let’s make a quick comparison with Whitbread’s beers of the same era. For reference purposes, XXP & was hopped at 4.81 lbs per quarter, 0.75 lbs per barrel. Whitbread brewing book held at the London Metropolitan Archives, document number LMA/4453/D/01/098. You can see that XXP 7 was less heavily hopped than even LA, Whitbread’s low-gravity Mild. And at only half the rate of IPA, a beer of about the same strength. It’s pretty clear that XXP 7 was much less bitter than an equivalent English beer. Meaning it probably drank more like a Light Mild than a Bitter. Nothing else I can really say. A simple, light, mild Bitter. Sorry, couldn't resist stirring the hornets nest. Anonymous: You could culture Caledonian’s yeast up from a pint of one of their cask beers. It seems to me that the stuff about Scottish beer being less hoppy has some truth to it, once you get into the twentieth century. It’s the retrospective “explanation” of the fact (“hops don't grow in Scotland”) that is nonsense, since we know that Scottish brewers made very hoppy beer in the 19th century and they now do again today.